In a verdict which is being viewed as a victory of supremacy of law, Tamil Nadu Chief Minister J. Jayalalithaa was today convicted of corruption by a Special Court in Bangalore. She has been sentenced to four years in jail, and charged with a fine of Rs. 100 crore. She has been reportedly convicted under Section 13 (1) (E) of the Prevention of Corruption Act (criminal misconduct by public servants), Section 120 (B) of IPC (criminal conspiracy) and Section 109 (abetment). The conviction would require immediate resignation from her and would also prevent her from contesting elections for the next 10 years, unless her conviction is over turned by a higher Court. Close aide V.K. Shashikala, foster son Sudhakar, and another aide J. Illavarasi -- all of whom are co-accused in the case -- have also reportedly been convicted in the same case. She was taken into custody immediately but was taken to hospital after she complained of dizziness following the sentencing. The other three accused in the case were sentenced to four years in prison and a ten crore fine. Since the sentence is more than three years, the special court does not have jurisdiction to grant bail and hence she will be taken into custody. By listing a total of 78 properties, kilos of gold and silver, besides diamonds, personal accessories and fraudulent transactions in ghost or benami companies numbering 32, the DVAC said she and her associates had amassed wealth worth Rs 66.65 crore disproportionate to her known sources of income as chief minister during 1991-96. Bangalore saw violent protests, outside the Parappana Agrahara jail premises, where the Special Court was set up to try the disproportionate assets case. Governor K Rosaiah has called for an emergency meeting with the Home Secretary. Reports of clashes between AIADMK and DMK supporters have started pouring in. The verdict is likely to topple the state’s political setup. Senior AIADMK leader and Tamil Nadu Finance Minister O. Paneerselvam is widely tipped to take over. Earlier this morning, Special Court judge John Michael D’Cunha adjourned the judgment at makeshift court in the Parappana Agrahara prison complex in Bangalore after crowds of AIADMK supporters at the court premises disturbed the proceedings. A high alert has been declared at several places in Bangalore city as thousands of persons from Tamil Nadu have arrived in the city to show their support for their leader. The police have imposed prohibitory orders under Section 144 of the Cr.P.C in the vicinity of the court “to prevent any public disorder and loss of public property”. More than 6,000 security personnel have been deployed, anticipating thousands of AIADMK supporters, according to reports. 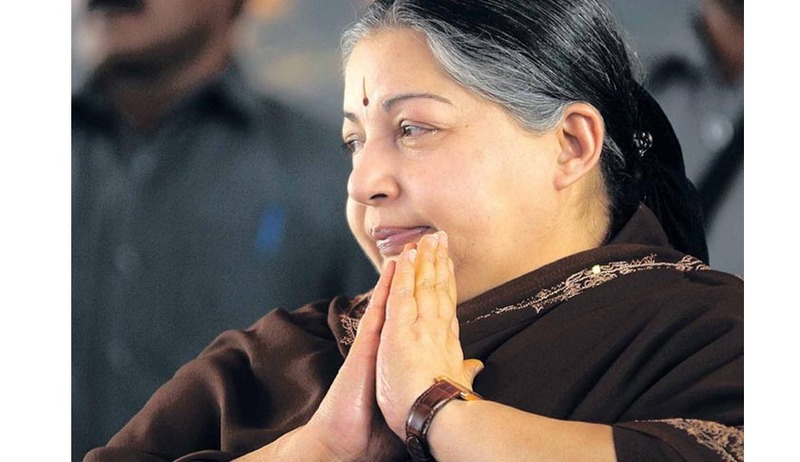 To realize the goal of a free and fair trial, the case was transferred from Chennai to Bangalore in 2003 during Jayalalithaa’s previous tenure as Chief Minister. In September last year, the apex court had quashed the decision of the Congress led Karnataka Government to do away with the SPP. It reasoned that it was a “malafide” decision, prompted by the “switch over” of the Government in the State, since he was selected during the tenure of the BJP Government in the State. This case has been successfully delayed for 17 years now, filing several petitions making numerous demands. The position of the SPP has been controversial even in the past, with the SPP appointed by the SC, B.V. Acharya resigning abruptly. He tendered his resignation to the Chief Justice of the Karnataka High Court stating that ‘he had suffered at the hands of interested parties who wanted him to quit’. His resignation was not accepted by the then Karnataka CJ Vikramjit Sen but was accepted immediately by his successor Justice Rao. The case was registered by the Directorate of Vigilance and Anti-Corruption (DVAC) of Tamil Nadu police in 1996, after the present BJP leader Subramanian Swamy moved courts and obtained necessary directions. Read more news about the Disproportionate Assets Case here.